The Dancers - crossoverprojekts Webseite! Each year, during the fall, we hold an audition for the Crossover Projekt. To this audition we invite dancers, who received their diploma in dance within the past 18 months. The project not only focuses on German dancers, but welcomes dancers from all over the world to audition. Ece Cinar: As the daughter of Turkish parents, music and dance have always been present in my life. As soon as I could stand upright, I also danced - and haven’t stopped since. This affinity for designed movement brought me from dance early education and ballet to hip-hop, break dancing and other urban styles finally to performance, drama and contemporary dance. After graduating from High School, I enjoyed a one-year dance study training in the Netherlands, before I was drawn to the contemporary dance program at Tanzakademie balance1 in Berlin, from which I graduated in the fall of 2015. Until graduation, I performed in choreographies by John Wooter, Jing Wang, Heidi Weiss and Isabel Gotzkowsky, among others. Additionally, I performed works and solos I created, most recently the work "Alice Heimer" at the festival "SoS - Students on Stage" in Berlin. Originally from Ireland, Millie Daniel-Dempsey has recently graduated from the Scottish School of Contemporary Dance with a BA (Hons) Degree in Contemporary Dance Performance. During her time in training Millie gained experience working with Scottish based company ‘Fuora Dance Project’ as a collaboration dancer and for ‘Scottish Dance Theatres’ Creative Learning department. She has also performed in works by Thomas Small, Tess Letham, Benoit Egloff, Matthew Robinson and Annarita Mazzilli. 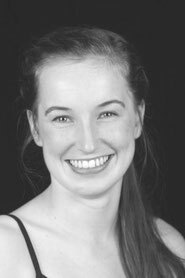 Millie also has a strong interest in choreography and has made work throughout her training that has been performed in Scotland, England and Ireland. Some of these performances included the Edinburgh Fringe Festival, the Irish Youth Dance Festival and the Fresh North East Platform. Since graduating Millie performed at the’ DIG’ festival in Scotland and at ‘Watt en Schlick’ festival in Germany before moving to Budapest to take part in an ‘Elite training programme’ with Budapest Dance Theatre. Cindy Fökel, born in Brandenburg in 1993, was accepted at the State Ballet School of Berlin and the School for the Arts at the age of 10, where she developed her classical dance technique. In 2005 she appeared at the Berlin State Opera as „Spielkind“ in the"Nutcracker". She graduated in 2015 from Berlin Dance Works, where she obtained a degree as a dancer in contemporary dance. There she participated in various performances during the program, such as performances at SOS and the Admiralspalast with "turning point", and also gained experiences in dance for film. Part of the dance program included the creation of choreography and her piece was chosen to be performed on the stage at the Admiralspalast. Becoming very interested in GAGA, she participated in a GAGA Choreography-workshop with Ohad Fishof & Noa Zuk part in 2014, and received further training in the technique from Yaara Dolev, Amit Goldberg and Joseph Tmim. In the first few months after the completion of her formal training, she worked as an independent artist and teacher at various schools to share her dancing skills and experience with children and teenagers and to encourage them to become involved in the arts. Currently she is part of the Crossover Projeck and will perform in works by Isabel Gotzkowsky and selected guest artists in 2016. 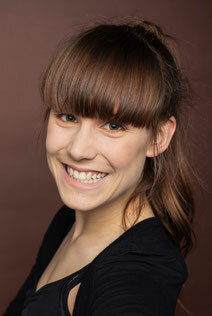 Samanta Hinz was born in 1992 in Magdeburg, and began to gain her first dance and stage experiences at age 8. She trained in different movement styles, eventually turning her focus on contemporary dance. In 2011 she started her studies at the Academy of Music and Dance in Cologne and graduated in 2015 with a "Bachelor of Arts" in the field of stage dance. Even before graduating she gained stage experiences over the course of several years in dance performances in the theater in Magdeburg, most recently under the direction of Gonzalo Galgueras. Samanta participated in a series of workshops of Sidi Larbi, Robyn Orlin, Akram Khan, Ultima Vez, Giuseppe Spota, Hofesh Shechter and Helder Seabra and was thus able to expand her dance skills and immerse herself in different styles of dance. During her studies she worked with international choreographers such Tuğçe Tuna (Turkey), Omar Rajeh (Lebanon), Didier Théron (France), Shumpei Nemoto (Japan), Anna Konjetzky (Germany) and Emanuel Gat (Israel). Since graduating she is working as a freelance dancer. Wiebke Kampferbeck grew up in the Wendland. There she had her first exposure to ballet, jazz and tap dancing. She took part in workshops at the Stage School in Hamburg and Iwanson school in Munich. In 2012 she moved to Berlin and began her training for contemporary stage dance at the Dance Academy balance 1. She performed in pieces by Lydia Clement, Heidi Weiss, Isabel Gotzkowsky and Cristina Perera. In addition to training continuously in dance, she danced in video productions and stage plays by Nicole Wiese and Volker Eisenach. Since October 2015, she teaches numerous classes at the music school in Spandau children ballet, modern and jazz. There she is producing, in collaboration with a creative team of the music school Spandau, a large children's and youth musical to be presented in 2017. 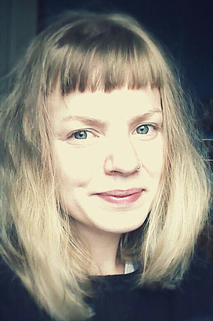 Wiebke choreographed and performed in the music video of the Swedish producer Vida Vojic in November 2015. Tove Klang was born in 1990 in Sweden. At the age of 12 she started to dance at the local dance school, but it was not until she started the gymnasium that her dance interest grew more serious. For three years she studied at a musical school, at the same time she also trained and performed with a contemporary dance company in her hometown Karlstad. After graduation she continued for two years full time dance preparation education at Löftadalens people high school. And in 2011 Tove started her three year professional dance education at Iwanson international school of contemporary dance in Munich, Germany. During the education she worked with a lot of different European choreographers, among them Jessica Iwanson, Caroline Finn-Fischer, Jochen Heckmann and Katja Wachter. After finishing her professional education in summer of 2014 she went back to Sweden for a choreographic course at the dance and circus university in Stockholm. During the spring of 2015 Tove has been traveling around Europe for different workshops, auditions and festivals. 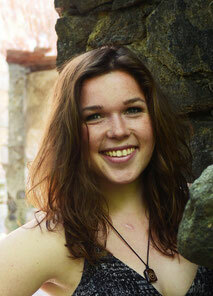 In February she had an internship with the Swedish contemporary dance company, Norrdans. And in March she went to Israel for a workshop with the Vertigo dance company. Since the graduation from Iwanson she has been freelancing as a dancer, teacher and choreographer. 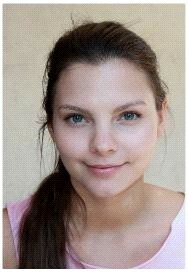 She has worked with different groups and projects around Sweden. In the summer of 2015 Tove was in the production Skikt, that was created and performed at the performance festival Live art, in Strömstad. She has worked together with the group Wärmdans and performed with them on different locations in Sweden. Now she will be a part of the Crossover Projekt in Berlin spring 2016. Luise Nikschick is originally from Dresden, where she began training in dance at the age of 5 and where she performed for many years in a youth company. Her passion is contemporary dance, which led her to attend the Lola Rogge School of dance pedagogy in Hamburg. Since graduation from that 3-year professional program she remains in Hamburg, where she teaches and works as a freelance dancer in stage, and occasionally short film, productions. Stephan Quinci was born in 1993 in the United States and graduated from Kenyon College in Gambier, Ohio with a double degree in Dance and European History. 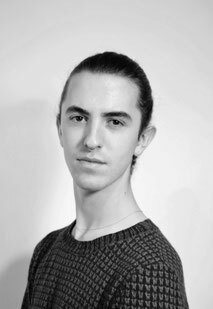 During his time in school he was casted in a Laban-notation historical reconstruction of the classical American modern masterpiece Lynchtown (1938) choreographed by Charles Weidman, which was then selected to perform at the American College Dance Association (ACDA) in 2014. The following year his senior creative thesis time was lost tomorrow, a collaborative duet focusing on neo-classical forms through post-modern constructions and Gujarati aesthetics was also selected to represent the college in the 2015 ACDA. Following graduation he joined Seven Dance Company, a contemporary ballet company based out of Columbus, Ohio for their summer season. That summer he was invited to choreograph and perform in an original work entitled dialogue w/(xyz) for the closing reception of an interactive instillation work at M I N T Gallery - an Ohio based contemporary artist collective. Since relocating to Berlin in 2015 Stephan has performed improvisational solos at Spektrum | Berlin and is now a member of Isabel Gotzkowsky’s 2016 Crossover Projekt. 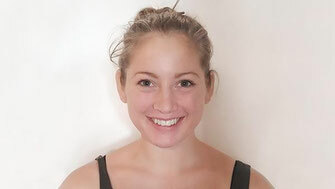 Marleen Streicher - During her education to become an educator herself, Marleen discovered her desire to become professionally active in the dance industry and to make her passion her profession. Thus Marleen completed training at the Dance Academy Minkov in Winnenden in 2014 successfully. During her training at the dance academy she had many opportunities to be on stage and in small commercials as a dancer, and additionally to gain first experiences as a choreographer. After her graduation from the dance program she completed an internship at Theater Pforzheim, under artistic leadership of James Sutherland, to delve deeper into the theater work. This was followed by joining Stuttgarter choreographer Katja Erdmann-Rajski for the new work "Penthe. Kisses and bites ". Since 2014 Marleen is also active in the Hip Hop scene as a professional dancer and as permanent member of Culture Clash Crew with whom she goes on contests and battles and and for which she creates work. In 2015, she was awarded a scholarship from “Tanzspur” Stuttgart of the free dance scene, for her commitment to dance. At the end of 2015, she presented her first solo performance in "Modern Open Stage" in the Karlskaserne Ludwigsburg.